Slope or gradient of a line describes the direction and the steepness of a line. Slope can be expressed in angles, gradients or grades. 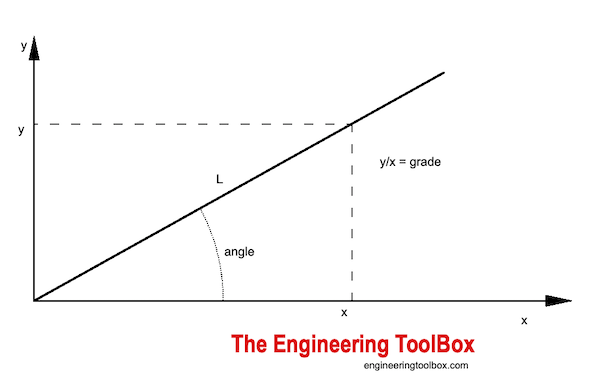 Calculate angle degrees, grade and length of slope. 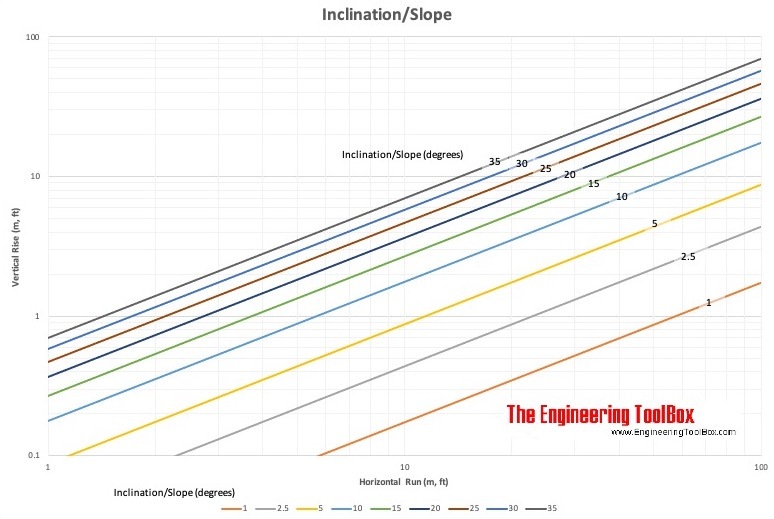 Use this chart to estimate the inclination or slope. Measure the horizontal run and the vertical rise and draw the lines in the chart to estimate inclination. Engineering ToolBox, (2009). Slope - Degree, Gradient and Grade Converter. 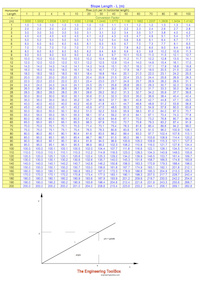 [online] Available at: https://www.engineeringtoolbox.com/slope-degrees-gradient-grade-d_1562.html [Accessed Day Mo. Year].